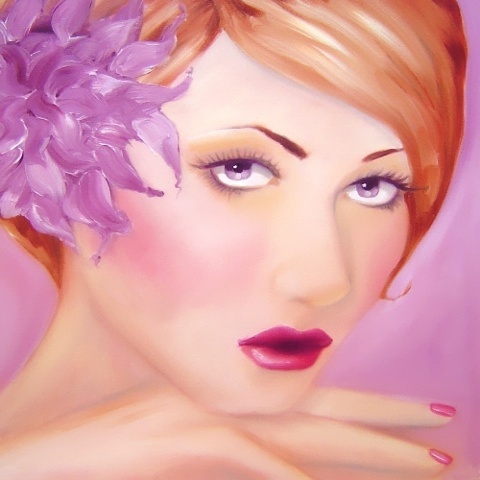 This is a portrait of a red headed woman, with beautiful violet coloured eyes. Her long eyelashes have just a touch of green to really bring out her colouring. Warm soft skin tones and delicate hands complete this stunning painting.